Today I am featuring author Dorothy Dreyer! Her Young Adult fantasy novel, My Sister’s Reaper, is out now – sure to be a big hit! Dorothy Dreyer is a paranormal young adult fiction enthusiast who specializes in urban fantasy. Her young adult urban fantasy MY SISTER’S REAPER debuts June 18, 2013 from Month9Books. The sequel releases May 2014. Dorothy Dreyer has always believed in magic. She loves reading, writing, movies, chocolate, and spending time with her family and friends. Half-American and half-Filipino, Dorothy lives in Germany with her husband and two teens. When Zadie accidentally messes with the Reaper’s Rite that should have claimed her sister Mara, things go horribly wrong. Mara isn’t the same anymore—Zadie isn’t even sure she’s completely human, and to top it off, a Reaper is determined to collect Mara’s soul no matter what. Now Zadie must figure out how to defeat her sister’s Reaper, or let Mara die … this time for good. Available NOW at Barnes & Noble! My inspiration for this tale came from not only my years in Ireland, but also from living in England, which is a very mystical place in itself. In researching Solomon Grimm and the Well of Souls, I personally contacted Dr Bob Curran, an author of many books on Irish folklore, often interviewed on Coast to Coast AM radio and countless others programs. His gracious and highly detailed input has given this book the authenticity I required, and therefore I have given him a special acknowledgment. 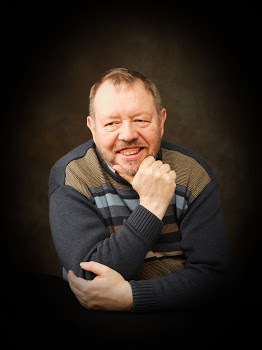 Have a look at my interview with him here on Written Worlds! As with Blood Family, I have asked artist David Rabbitte to do the cover art for me. Here is a sketch of the cover, with possible fonts – subject to change. The final artwork has actually been finished; you may just find it on his website! Solomon Grimm Cover Sketch by David Rabbitte. Read the first 8 chapers on Wattpad! Ultimate YA features ‘Blood Family’! 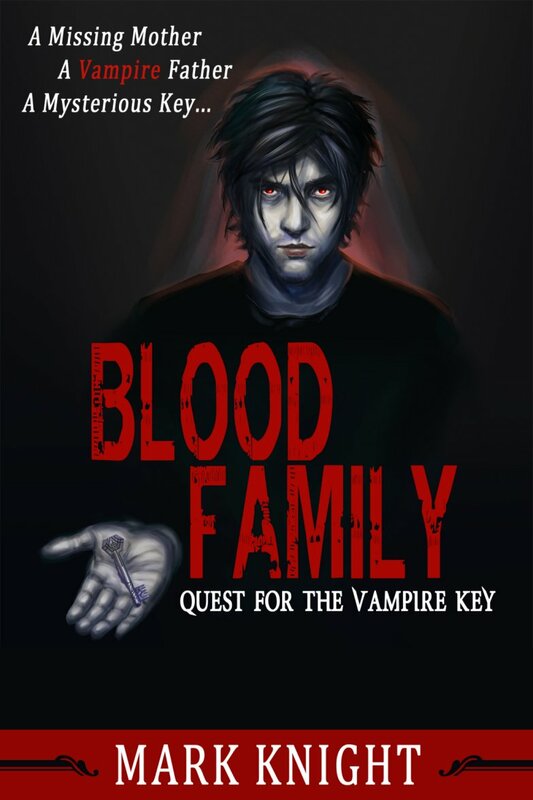 Blood Family – Quest for the Vampire Key is on Ultimate YA! The feature starts tomorrow and will continue throughout the month with 1-2 posts each week. Learn all about the story of half-vampire Daniel Dark and his perilous quest to confront his malevolent vampire father. Ultimate YA is an organization that promotes young adult literature (YA lit) and reading. We feature one YA lit author per month. Each feature includes a short bio of the author, as well as fun facts and an interview. If you would like to be featured, please send an email inquiry to ultimateyareadinggroup@gmail.com. In addition to our features, we post quotes and memes of the week that relate to books, writing, and/or reading on Tuesdays and Thursdays, respectively. We also post anything else that we find interesting regarding reading and writing. ‘Blood Family’ is now available! I am thrilled to announce that my Young Adult urban fantasy novel, Blood Family ~ Quest for the Vampire Key is now available on Amazon US and Amazon UK! Thank you to all the fantastic people who have supported me and this work, and those who helped give this book a professional shine – Ali Cross of Novel Ninjutsu, Anne Victory of Victory Editing, David Rabbitte for his amazing cover art, and Tatania Vila for her superb cover fonts. Look out for Blood Family on Ultimate YA – where it will be featuring on April 1st (no fooling’!). The book will also be the ‘featured read’ on I Love Vampire Novels great site. And that’s not all, I will be appearing on many sites and blogs over the coming weeks. Find out about more about Daniel Dark’s perilous journey, and what inspired my take on vampire lore. I will be giving everyone heads-up when each and every one of these features has gone live. Lazy, goalless New England teenager Daniel Dark never intended his life to change so dramatically. It starts with the arrival of a mysterious package, and the revelation that his true father was a master vampire named Dominus. As his own fearsome powers begin to emerge, he sets out to rescue his birth mother, still imprisoned in Dominus’ stronghold. Strange clues take Daniel to the deep forests of southern Mexico and then to the mist-shrouded moors of England. Hot on his heels is his adoptive father – Pastor Nathan Dark, determined to find and kill he boy he had once called his son. Urban fantasy for Young Adult readers and beyond. The countdown to all-hell-breaks-loose has begun. Daniel is still an average teen; indolent, rebellious, taking a back seat from life. He has friends, like Pearce, who know him only as the lax-limbed son of the local pastor. Daniel knows something is going on with his father. He will soon find out what is brewing within himself. Daniel lay on his bed with his dented-but-functioning cellular phone sandwiched between his ear and a propped pillow. The TV on the dresser opposite was flickering out a rerun of The Munsters with the sound turned down. The living room was full of priests. Okay, ministers, really, pastors – of the Baptist variety like his father. They didn’t wear white collars like their Catholic counterparts, though Daniel knew they were pastors all the same. The conservative dress sense and lame haircuts were dead giveaways. His father, the only one who wore glasses, threw his son a fake smile. Daniel forced a weak smile. In other words, I should clean up my act and dress like a minister’s son, right? Jesus Christ. Nathan was never a lover of his son’s dress sense, unruly hair, slouch, or general attitude. Whenever he saw his son coming through the door he was tempted to say ‘you look like something the cat dragged in’, had it not been such a cliché. The boy’s shirts were oversized, dark, and moody. And as for his hair – the chestnut-brown tresses that seemed to form a permanent curtain over his nose had caused Nathan to forget the color of his son’s eyes. Nathan had to admit to himself that most of the pastors he knew had rebellious sons – and daughters – who tried to be everything their parent wasn’t. Perhaps it was just a natural part of growing up in a clerical family, he mused. Don’t deceive yourself, Nathan, the pastor thought. It’s worse than that. Much worse. The eldest of the reverends had to be at least seventy. He’d waited until the other men had stood and shaken the boy’s hand before finally doing likewise. Unlike them, he didn’t smile. Instead, he wore a knowing gaze that unnerved Daniel. The snowy-haired pastor looked directly into the teenager’s eyes, unblinking. Daniel didn’t know what to say. He didn’t like this. His palm was sweating, and not just because the elderly pastor was squeezing it. Finally the old man released his grip and sat back down, picking up his tablet of lined yellow paper and looking over his meeting notes as though he hadn’t seen Daniel at all.